Taffy is On the Mend! 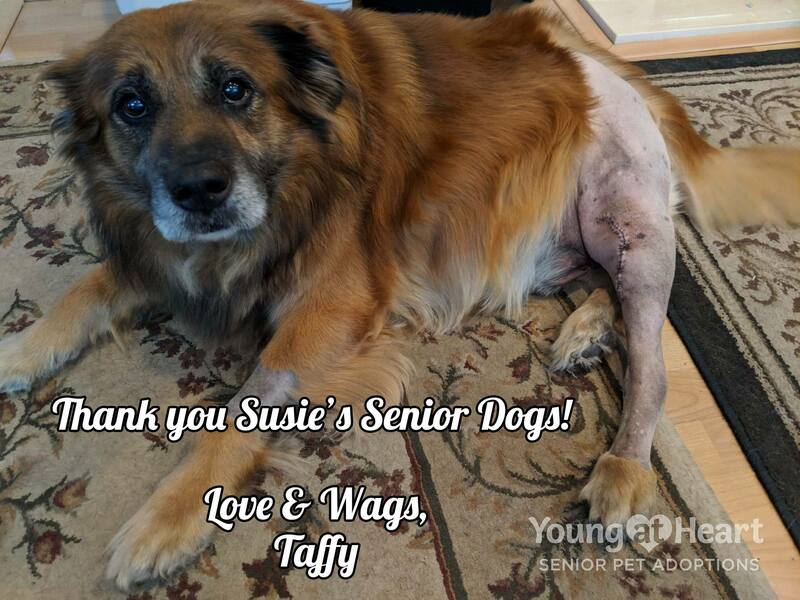 Our sweet senior boy Taffy was rescued with a torn ACL and a torn meniscus. He recently underwent TPLO surgery so that he could have the best quality of life, and came through surgery with flying colors. He's feeling a bit TOO good now and wants to be a wild child at night, so he just got a lecture at his follow up visit with the surgeon. But because he's a dog, he also got some mild sedatives for his new love of night time zoomie parties to help him heal. Silly boy. We love that he feels so good now! We wanted to give a big shout out to the wonderful Susie's Senior Dogs for sponsoring $1500 of his surgery, which covered a huge chunk of the cost of his $3200 surgery for us! 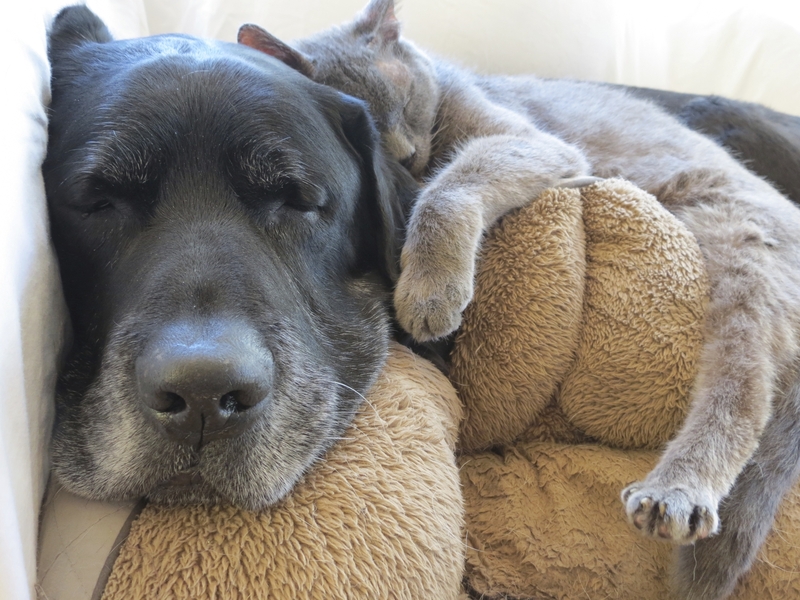 Rescuing senior pets is costly, and their generous sponsorship will allow us to turn right around and put those funds into another needy senior pet's veterinary care. Please join us in thanking Susie's Senior Dogs! Taffy will be available for adoption as soon as he gets the all clear from the vet!